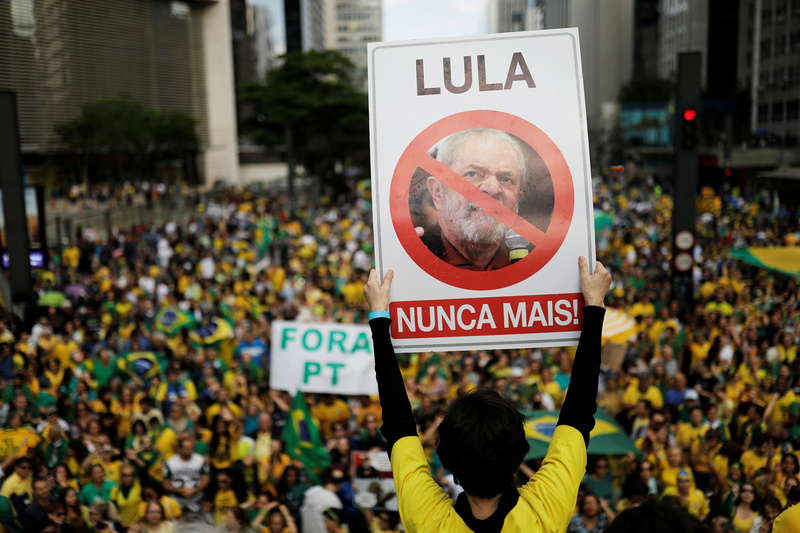 Supporter of Jair Bolsonaro, far-right lawmaker and presidential candidate of the Social Liberal Party (PSL), holds a sign with the image of former Brazilian president Luiz Inacio Lula da Silva reading "Lula, never again" during a demonstration in Sao Paulo, Brazil, October 21, 2018. Brazil holds a presidential runoff election on Oct. 28. Polls give far-right candidate Jair Bolsonaro a double-digit lead over Fernando Haddad of the leftist Workers’ Party.